A scarf is a versatile piece of accessory, but it can only do so much. Yes, it can polish a look and take it to the next level, but like any other extra, the “powers” it can do have limits. At the end of the day, it really all boils down to how the person wears an item or article of clothing. Take for example, the head wrap; we all know how wearing a head wrap or a turban can give your look a touch of bohemian or exotic drama. But what happens if you suddenly wear it wrong, and unexpectedly mix it with a printed outfit that is completely inappropriate? That’s exactly what Rita Ora did late last week. For a day at the studio, the singer chose matching separates printed with the dollar sign. Both pieces were quite loose and unflattering. She then capped off the combo with a printed head wrap that clashed with her outfit. Even worse was how she styled the head piece — like a bird’s nest. Fortunately, her shoes were gorgeous. Rita wore paneled pointy pumps from Christian Louboutin — the Miss Rigidaine. Wow. 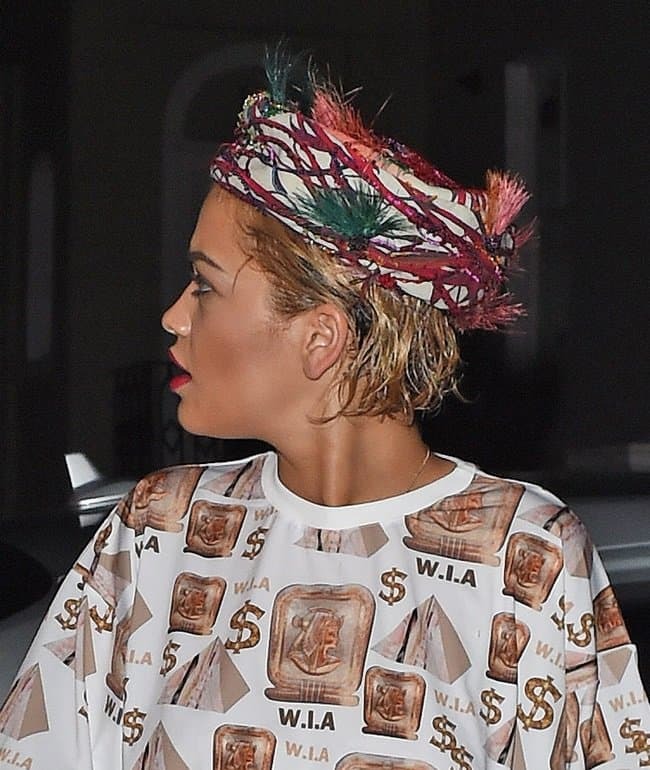 Rita just made a head wrap look really bad. And yes, she definitely failed to look good in the piece. Would you agree? What on earth was she thinking, right? Note that wearing a printed bandanna, turban, or head wrap is a fashion statement, so you need to keep the rest of your outfit as low-key as possible. 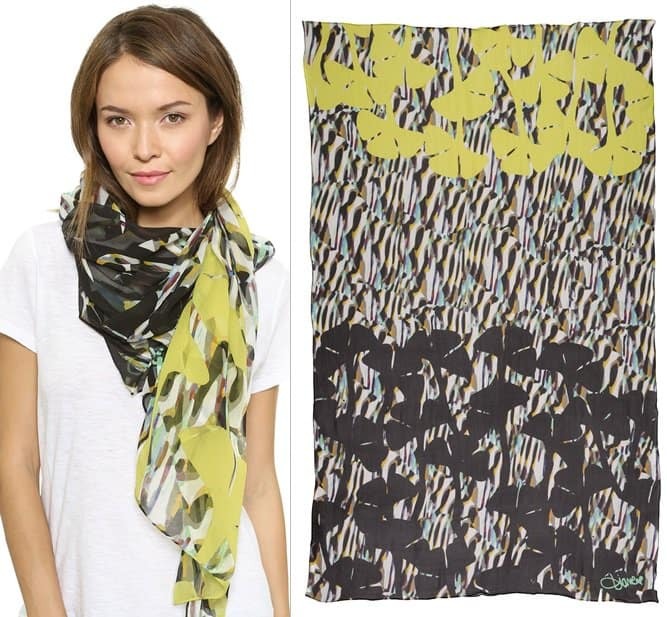 Here’s a fresh piece from Diane von Furstenberg that will work great as a head wrap this summer. Wear it as a head piece by following any of the styles from the video below, which features vlogger, Sadora J.. Also, to make the head wrap stand out, keep the rest of your outfit simple. A great item to wear with the DVD scarf would be a white or black maxi dress.